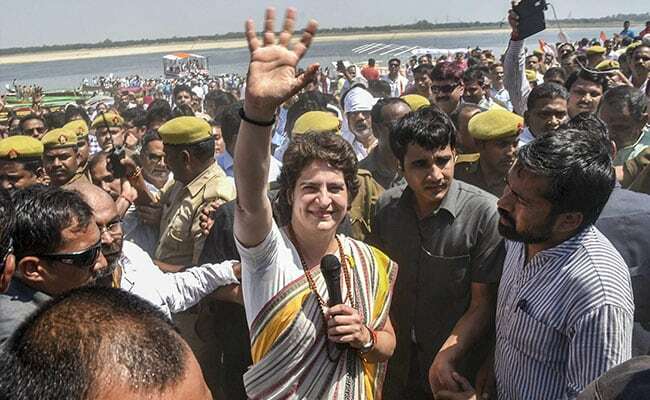 Congress general secretary Priyanka Gandhi Vadra today blamed the Bharatiya Janata Party (BJP) for the plight of 'shiksha mitras' or contractual teachers in Uttar Pradesh, alleging the ruling party leaders are busy marketing T-shirts instead of attending to those suffering. Hundreds of 'shiksha mitras' (ad-hoc teachers) have been protesting and pressing for better pay and appointment as assistant teachers in the state. "The hard work of Uttar Pradesh's shiksha mitras is insulted everyday. Scores of sufferers committed suicide. Those who took to the streets to protest were beaten with lathis, National Security Act was registered against them," the AICC incharge of Uttar Pradesh East tweeted. "BJP leaders are busy marketing T-shirts, I wish they had paid attention to those suffering," Ms Gandhi added. Her dig comes after Prime Minister Narendra Modi retweeted a post from 'Namo Merchandise' handle on Twitter which has been promoting 'Main Bhi Chowkidar T-shirts'.